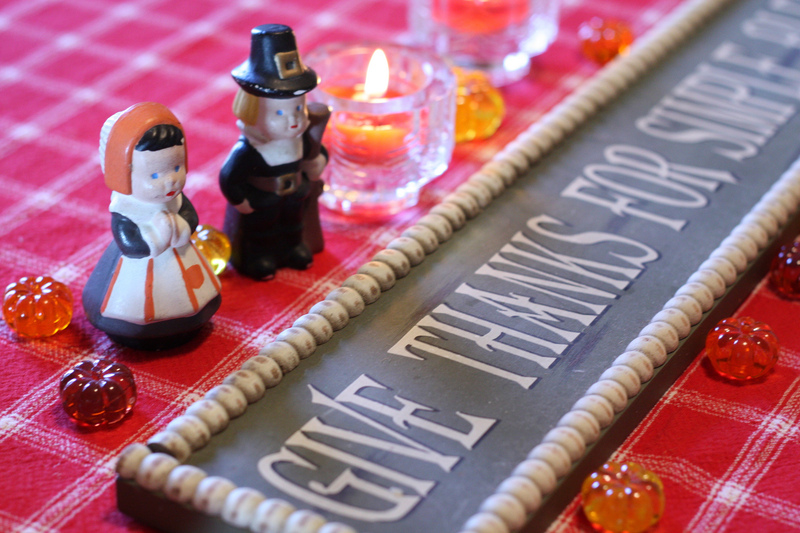 If there’s one holiday that appears to be shrinking every year, it’s Thanksgiving. The minute the Halloween decorations go down, the pilgrims (if they show up at all) barely have time to settle on the shelves before the Santa figurines push them out of the way. I love Christmas, but if commercialism has it’s way, we may eventually completely eliminate the holiday that proceeds it. And we need this holiday for our souls. The food is, of course, awesome. But this day is about the whole reason we come together to eat. Thanksgiving is the only holiday on the calendar whose name tells us what we are supposed to do. Sadly, the time we’ve set aside for giving thanks is gradually diminishing from a day, to a meal, to “let’s get done early so we can hit the sales”. Better yet, can we just get our turkey to go? Black Friday originally got it’s name because it signaled the big sales happening the day after Thanksgiving. However in many stores, Black Friday now begins on Thursday. People rush through giving thanks for the things they have, so they can stand in line for the things that are missing. I wonder if anyone sees the irony. Perhaps Thanksgiving is more weighty than we thought. It’s not just about feeding our bodies. We need it to feed our souls. It’s the one day of the year where our focus is taken off what is missing, and placed instead on what we have. And I fear the shorter that day becomes, the smaller our souls will be. The discipline of giving thanks is the antidote for our wandering hearts. Truth be told, we need this discipline for more than one day a year. An hour a day would probably be better. But at the very least, let’s hold on to that day. It’s place on the calendar reminds us to shift our gaze from the things that are missing to the treasures sitting in front of us– and take time to appreciate them before they slip away. Because when they do slip away, we’ll realize how valuable they really are. So let’s not dispose too quickly of those pilgrims. Let them have their day. Our year- and for that matter our life- will be better because of them.